Motivate staff members this crazy time of the school year with an activity that's designed just for them! 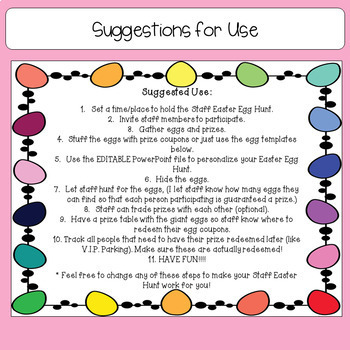 This Easter Egg Hunt is one that can be customized to meet the needs of the staff in your building. It's perfect for Social Committees, Sunshine Committees or just a few coworkers getting together. 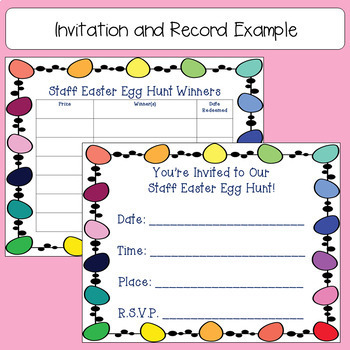 Set a time/place to hold the Staff Easter Egg Hunt. Invite staff members to participate. 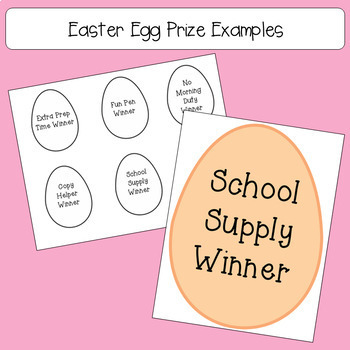 Stuff the eggs with prize coupons or just use the egg templates below. 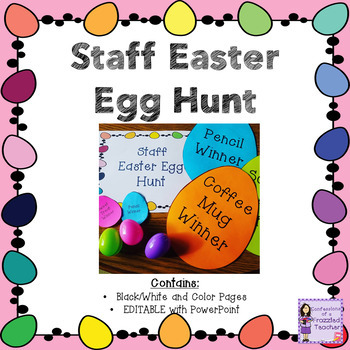 Use the EDITABLE PowerPoint file to personalize your Easter Egg Hunt. Staff can trade prizes with each other (optional). Have a prize table with the giant eggs so staff know where to redeem their egg coupons. Track all people that need to have their prize redeemed later (like V.I.P. Parking). Make sure these are actually redeemed! Please visit me on my website CONFESSIONS OF A FRAZZLED TEACHER. Follow me on Facebook HERE or on Twitter HERE. If you have any questions, comments, or more, please email at confessionsofafrazzledteacher@yahoo.com. I would love to hear from you!